Every young man and woman who attends the Air Force Academy is a student-athlete. Whether this competitive spirit is expressed on the intercollegiate or intramural field, it is the same spirit—one that forges tomorrow’s leaders of character through the mental and physical challenges of today. 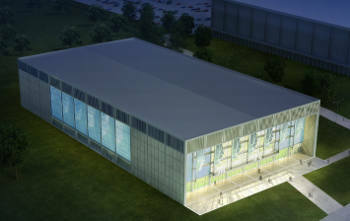 In this way, the Holaday Athletic Center will benefit all cadets and will help attract the most talented young men and women in our nation to the United States Air Force Academy. Make a gift in support of the Holaday Athletic Center. There are still many naming and recognition opportunities available for contributors, which you can view by clicking the link below. For more information or to make a gift, please contact Jimmy Martello, ’00. He is also available by phone at (719) 472-0300, ext. 200.